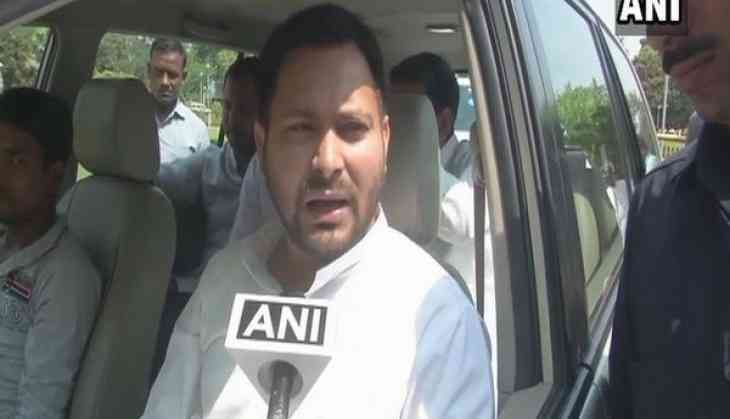 Rashtriya Janata Dal (RJD) leader Tejashwi Yadav has blamed Bihar Chief Minister Nitish Kumar for recent Bhagalpur violence. Yadav also criticised the Bihar Chief Minister for taking decisions in a coward manner. "We blame Bihar Chief Minister more than we blame the BJP for this incident. For any violence, whether it is in Araria, Bhagalpur or Darbhanga, the guilty is Nitish Kumar only. Nitish Kumar takes cowardly decisions," the RJD leader said on Wednesday. On March 19, a First Information Report (FIR) was registered against Union Minister Ashwini Choubey's son Arijit Shashwat for allegedly inciting violence in Bhagalpur. A procession organised by Bharatiya Navvarsh Jagran Samiti on the eve of Hindu New Year triggered a communal clash in Nathnagar area of Bhagalpur on March 17. The procession that comprised of workers from the Bharatiya Janata Party (BJP), Rashtriya Swayamsewak Sangh (RSS) and Bajrang Dal was led by Shashwat. The procession passed through a 15-km route that included several Muslim-dominated areas. As per reports, the clash began in Medni Chowk a Muslim dominated area, when there was a stone pelting at the procession.